I learned my lesson years ago and have since placed a Zagg screen protector on all new iPhones (and iPads) I get. For me, these screen protectors truly protect against scratches as well as impacts and cracks. I don't drop my phone ALL the time, but I've surely dropped phones enough to produce a busted screen or two, I believe; yet they all stay intact. I'd suggest a Zagg protector to anyone currently looking to protect their phone's screen... For the now. Screen protection may become a concern of the past if Apple rolls out a new mechanism that they believe may help protect phones' screens from the ugly demise of a fall. An ingenious new Apple invention might one day curb cracked iPhone screens — by flipping phones mid-air so as not to damage fragile components. The freshly patented “protective mechanism” senses when an iPhone is falling and uses a tiny motor to help it land like a cat. It measures speed of descent and time of impact to help the phone position itself while falling — much like cats do. A combination of gyroscopes and GPS is employed to shield sensitive parts of the phone from certain disaster. Apple has not yet announced specific plans to include the technology in its devices, but fans hope it is soon. Apple engineers Nicholas King and Fletcher Rothkopf invented the mechanism, according to the patent, which was filed in September 2011 and granted last Tuesday. “Mobile electronic devices are being used more often and more . . . However, people may drop their mobile electronic devices, or the mobile electronic devices may otherwise may be caused to enter a free-fall state,” Apple notes in the patent. Hmm.. Wonder how much that'll cost us consumers, IF it's ever rolled out. I'm skeptical on how efficient this mechanism would actually be in protecting the screen from cracking. 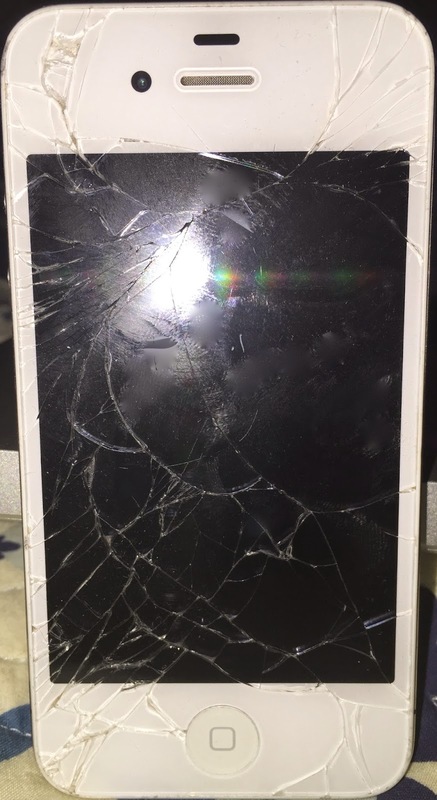 Even an iPhone that lands on its back is susceptible to screen cracks, right? Would the price of a feature that only has a fraction of a chance at working be worth it? For me, I think I'd rather stick to a $30-$40 screen protector that's already proven to work.